Proven techniques to improve market-timing accuracy. Momentum Stock Selection details a method of combining market momentum with innovative risk management to dramatically increase profitable opportunities for both short- and long-term traders. Proven techniques to improve market-timing accuracy. Momentum Stock Selection details a method of combining market momentum with innovative risk management to dramatically increase profitable opportunities for both short- and long-term traders. 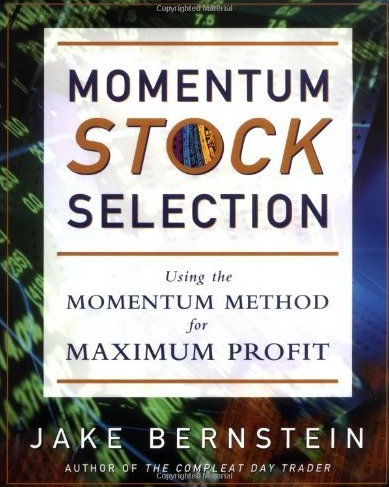 This book outlines­­ how any trader can use momentum to increase trading effectiveness. Employing numerous real-life examples and illustrations to explain key points, Jake Bernstein gives the reader inside details on: How to choose the right time period for charting Red flags that point out when a signal is wrong A five-step method for determining momentum-divergence patterns An actual "walk-through" of a momentum-divergence signal as it develops.